This product is EOL. See updated model Barco MDRC-1119 TS here. The MDRC-1119 is a 1 MegaPixel surgical monitor for hospital-wide viewing of clinical data and images. 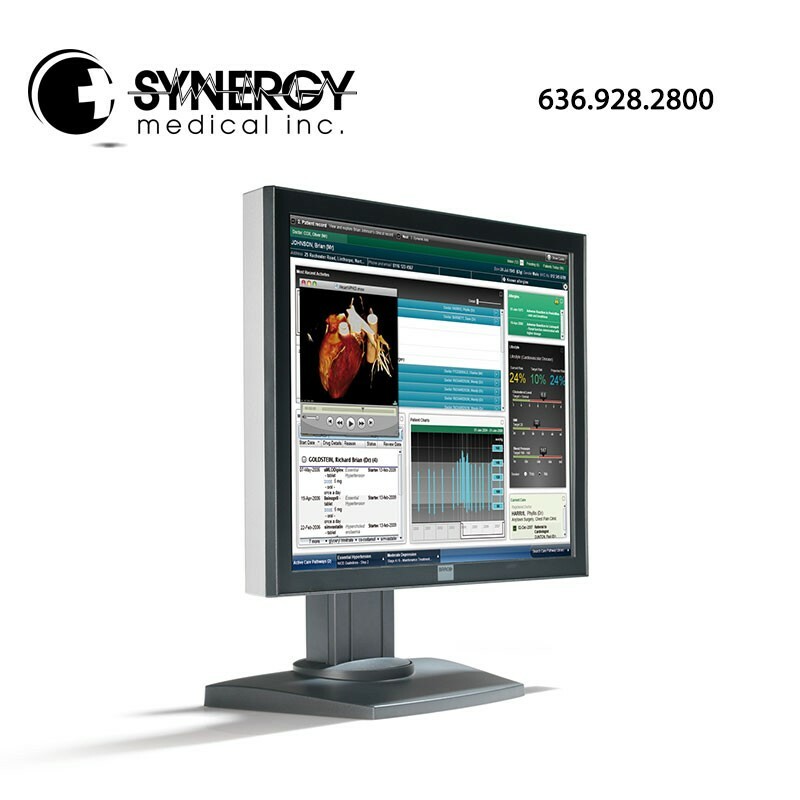 The 19-inch diagnostic monitor brings reliable, DICOM-compliant images to a broad palette of imaging applications, including the EMR system. The MDRC-1119’s high-quality LCD panel presents medical images with better contrast, higher brightness and a wider viewing angle than conventional computer monitors. Advanced Backlight Output Stabilization (BLOS) technology ensures fast power-up and continuous LCD backlight stability, resulting in long-term image consistency. And thanks to the integrated DICOM Part 14 Look-Up Table, the MDRC-1119 diagnostic monitor is DICOM-compliant “out-of-the-box”. Presents medical images and patient data with more accurate grayscales, better contrast (up to 1300:1) and a wider viewing angle than conventional diagnostic monitors. Complies with international medical safety and emission standards (such as CE, UL, etc. ), qualifying the display for use in every area of the hospital. And thanks to its low voltage external power supply and (optional) protective front cover, the MDRC is also perfectly fit for dental imaging purposes.